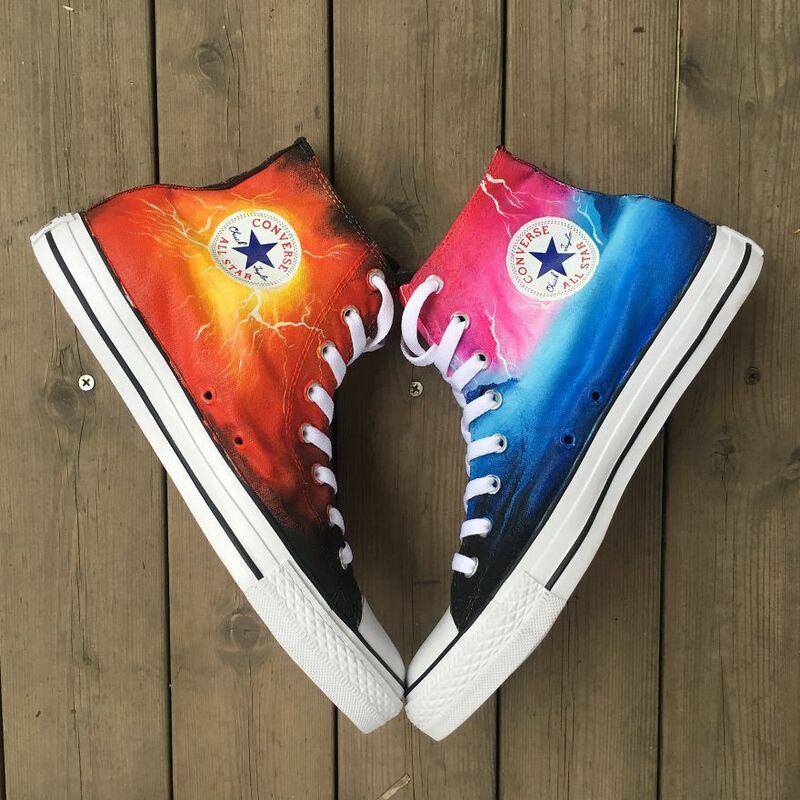 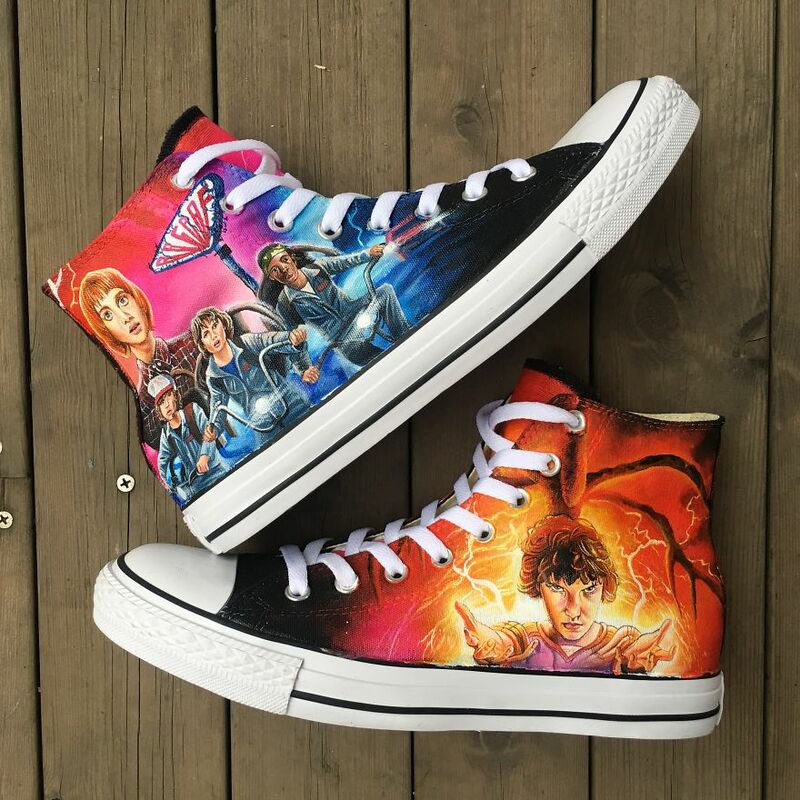 I made this pair of STRANGER THINGS hand-painted shoes. 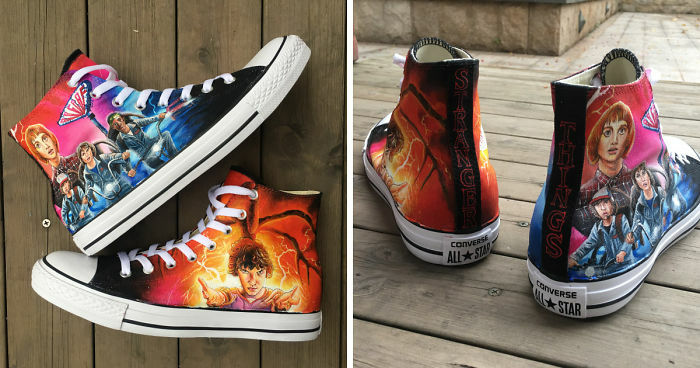 It took me more than 40 hours to complete them. 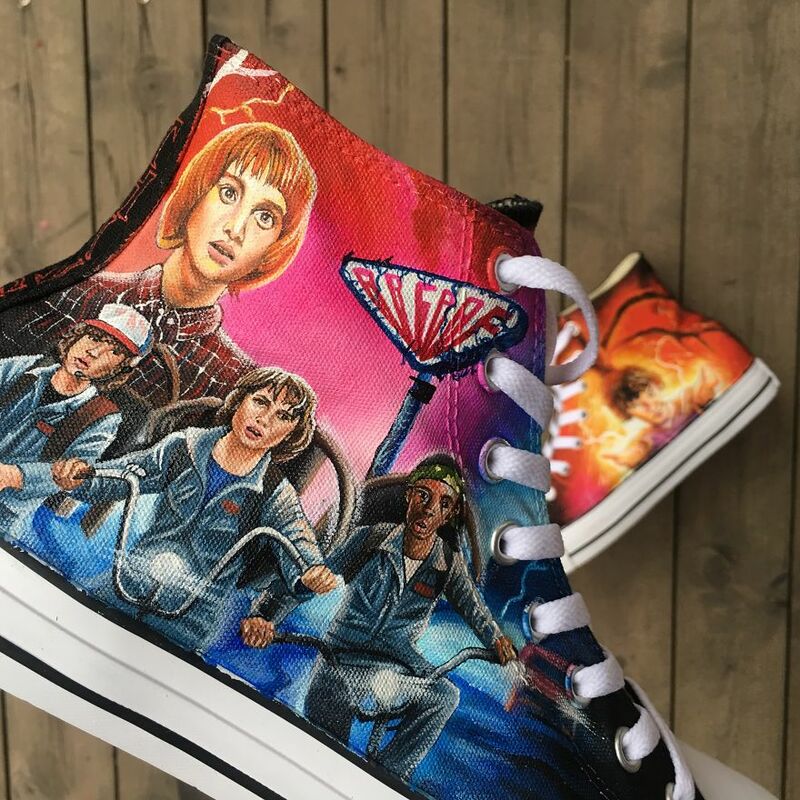 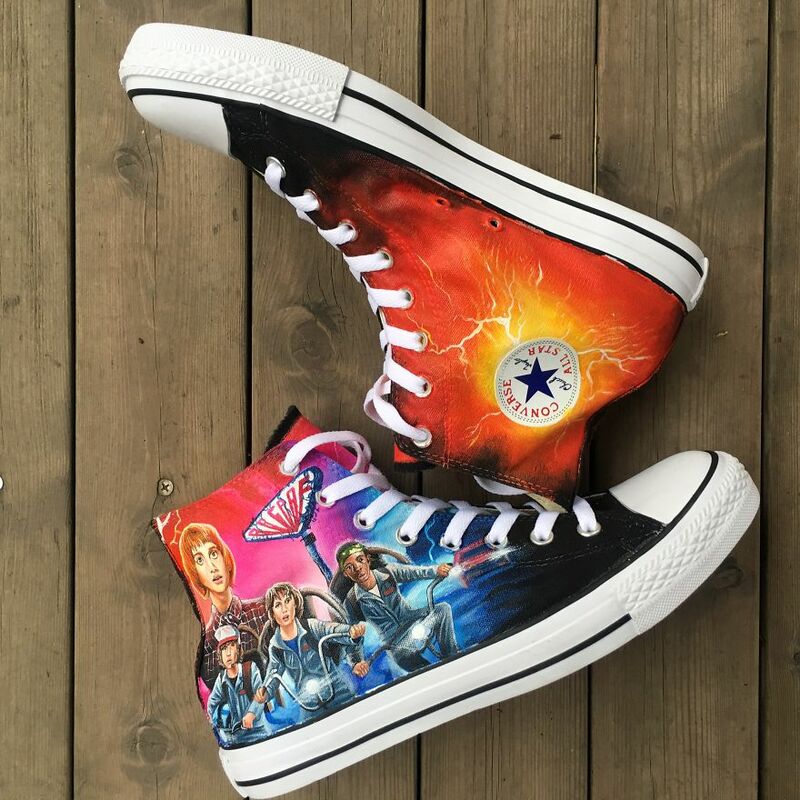 Holy cow, I love the show, and I love these shoes!